Y'all know what the drill is, get the hype train started, use spoiler tags for spoilers, discuss! THE MAN,THE MYTH,THE SHIV and Phantom Stranger like this. Still, I'm glad somebody created it. 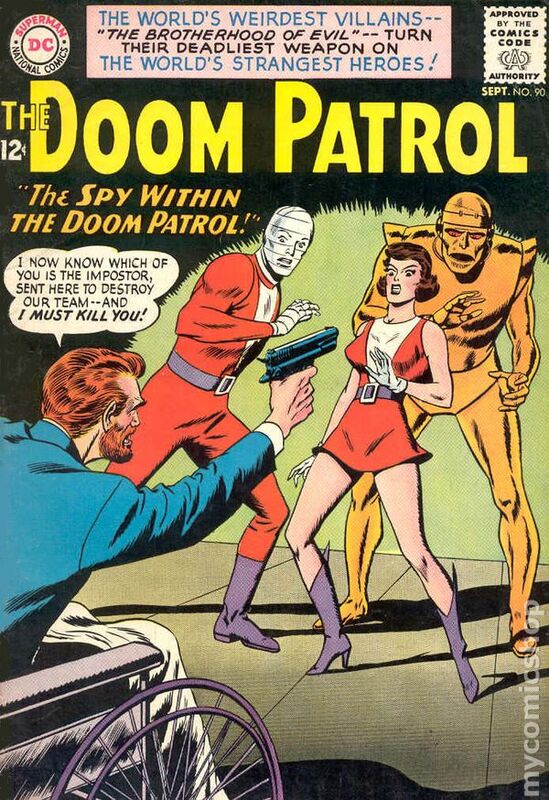 Love me some Doom Patrol! lolomanolo, Vic and THE MAN,THE MYTH,THE SHIV like this. I really need this in my life. Only a couple more days to go. I've seen some mostly positive reviews for this. The Doom Patrol episode of Titans was one of my favorites and I was a huge fan of the Morrison run in the comics. I'm predisposed to liking this so I expect I'll be happy with their take on it. I am a bit trepidatious about Cyborg but I hope they surprise me like they did with Starfire. Curious to see how Swamp Thing plays out later this year. Thanks to @Vic ; for creating the thread. Vic, 2 Ton 21 and Phantom Stranger like this. I loved that trailer. Humor, seriousness, Crazy Jane, and Mr. Nobody is Alan Tudyk. Great to see whoever is that actor that ate Brendan Fraser. Seriously I haven't seen him in an age so it's cool to have him on this show. Loved Bomer in American Horror Story Hotel so it's interesting to see an actor known for his looks all bandaged up. I am very excited for this. Did I mention tat I was excited? Tomorro needs to hurry the hell up and get here already. Last edited by THE MAN,THE MYTH,THE SHIV; 02-14-2019 at 02:34 PM. Give me The Brotherhood of Dada, please very much. lolomanolo and Phantom Stranger like this. Last edited by THE MAN,THE MYTH,THE SHIV; 02-14-2019 at 07:12 PM.